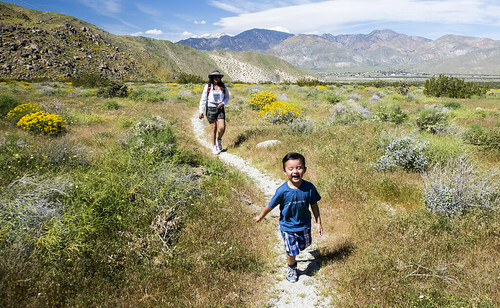 Designated for its scenic significance, Pacific Crest National Scenic Trail spans California desert valleys to Northwestern rain forests, offering hikers and equestrians a wide variety of climate and terrain. It crosses California, Oregon, and Washington, with starting points in Canada and Mexico. The Pacific Crest has the greatest elevation change of any of the National Scenic Trails, from near sea level to the crest of the Sierra and Cascade mountain ranges. National Historic Trails are extended trails that closely follow a historic trail or route of travel that is of national significance. The BLM identifies and protects the historic routes, remnants, and artifacts for public use and enjoyment. National Scenic Trails are continuous, extended trails that pass through areas with significant scenic, historic, natural, or cultural significance. They are managed by the BLM for outdoor recreation, conservation, and public enjoyment. 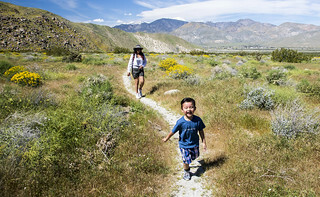 National Recreation Trails are located within parks, forests and other recreation areas and are reasonably accessible to urban or high-use areas. These trails are designated by the Secretary of the Interior or other delegated official.